Stressed out by the whole deal about wedding planning? Done with looking at bridesmaid dresses and how to get everything just perfect on Pinterest? The gang at Buzzfeed has your back. 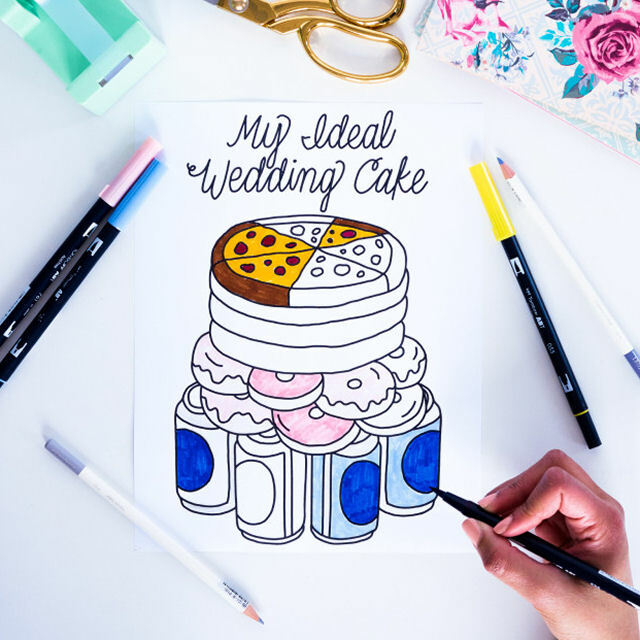 For those times when everything from booking the catering hall to figuring out where (and how) to throw the bachelorette party is giving you the frazzles, there’s a free coloring book to download to take your mind off the process and just have fun. Relax, it’s just your wedding!